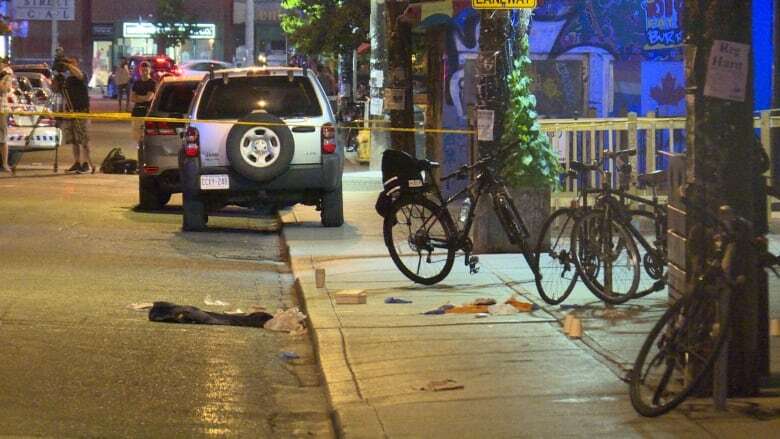 Four people have been injured following a shooting in downtown Toronto Sunday evening, police say. Paramedics say they have transported four people to hospital. 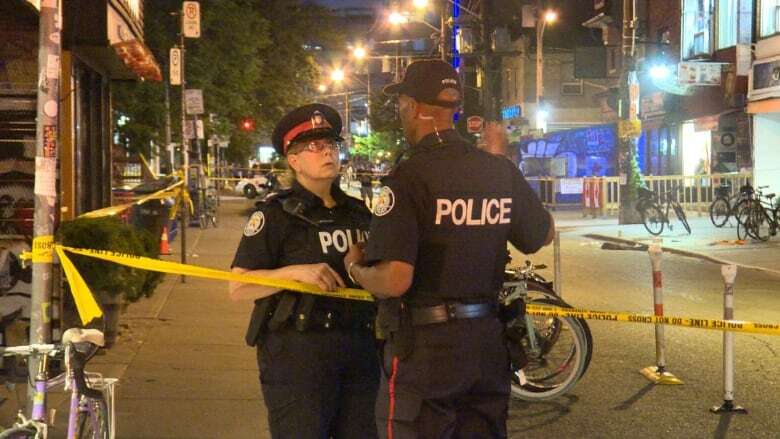 A man in his 20s is in serious, possibly life-threatening condition and was taken to a trauma centre. Another man, also in his 20s, was taken to a local hospital with serious but not life-threatening injuries. Two others were taken to hospital with injuries paramedics say are not serious. Police say there were possibly four assailants running away. 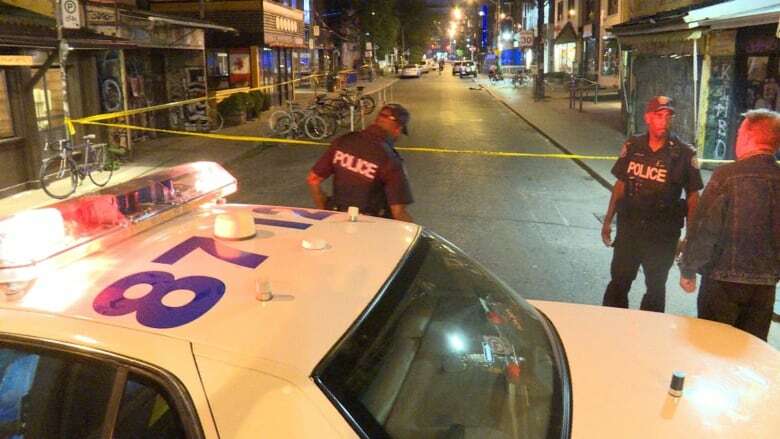 The shooting comes just over a day after a local rapper and a brand manager with the hip-hop music collective Prime were fatally shot on a busy Toronto street.